He… is… Batman. 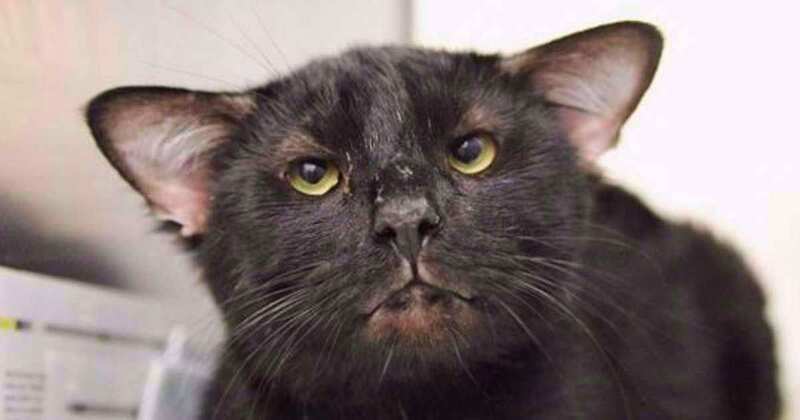 Not the D.C. Comics superhero that protects Gotham City, but a peculiar looking rescue cat with a rare mutation that gives him two sets of ears. Batman was 3-years-old when he was surrendered to the Western Pennsylvania Humane Society in Pittsburgh after his owner was no longer able to care for him. His unique look is attributed to a rare genetic mutation that is believed to be caused by both of his parents carrying the same recessive gene mutation. A cat named Toots was the first to be documented with the condition in 1938. The mutation was later studied in 1957, according to WNEP. He doesn’t actually have two sets of ears which would mean he has extra ear canals or hearing organs, he just has extra ear flaps or pinnae. So, even though he’s named after a superhero, he doesn’t have super hearing. Look how cute he is with those extra ear flaps! Though the mutation is rare, Batman isn’t the only cat to become famous for the condition. 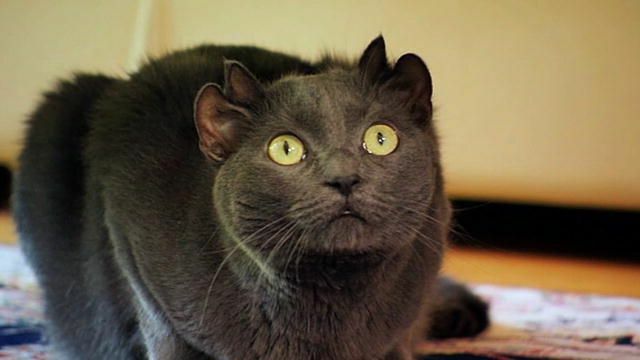 A gray house cat named Yoda became an internet superstar in 2008 with more than 16 million people who became his fans. Yoda was taken in by a kind couple who noticed that a group of curious drinkers was passing him around, according to DailyMail. When they took Yoda to the vet, he said that he had never seen anything quite like him before. He is a rare case. People are huge fans of unusual pets, which is why Batman was a big hit at the shelter. After Batman received some healthcare at the humane society, he was adopted within a few hours. And we can see why — he is super cute. And his name is Batman. Learn more about Batman below.